With the news today that Dave Bautista is the new Bond villain in James Bond 24, it inspired us to look back at the pop culture icon-dom that is the Bond villain. Bautista has some serious shoes to fill on many front that come in all sizes, from Herve Villechaize’s Nick Nack in The Man with the Golden Gun to Richard Kiel’s Jaws in The Spy Who Loved Me and Moonraker. They are also known to deliver some of the best James Bond quotes! We look back over the history of the Bond franchise, all 50 years of it, and name our top 15 James Bond villains. Watch Skyfall online and we think it’s safe to say that Javier Bardem’s Raoul Silva will be near the top. But, who else will make this esteemed list of villainy? 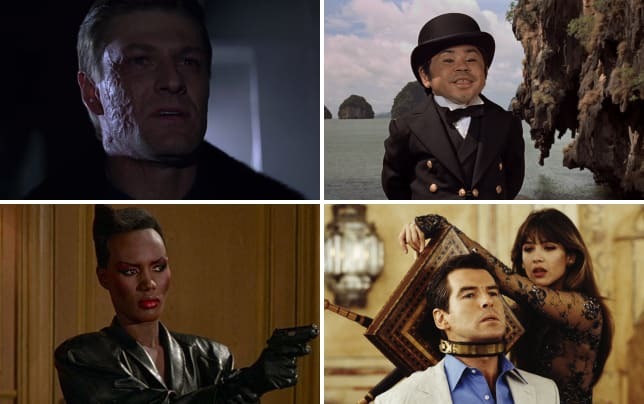 Click through and check out our Top 15 Bond Villains of all time!